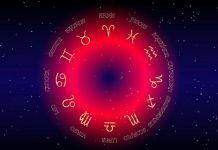 Twin Flame Signs and Numbers - What's The Message? Home Twin Flame Essentials Twin Flame Signs and Numbers – What’s The Message? 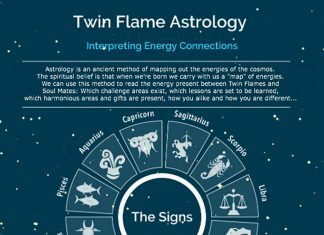 Twin Flame Signs and Numbers – What’s The Message? Seeing 11:11, 333, 2222, 999 and other numbers and signs everywhere you go? Here’s the list of meanings, in a clear visual map for decoding Twin Flame signs and messages. 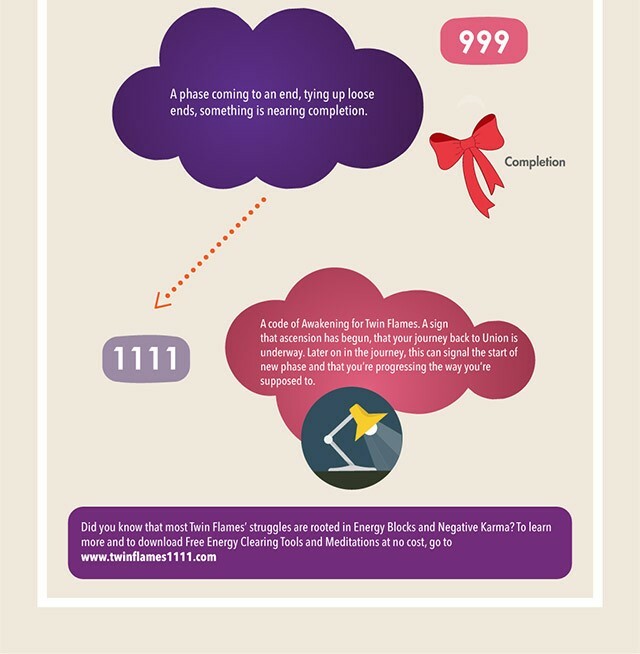 Decoding repeated numerical messages is one of the most common questions I receive from Twins all over the world, so here is a handy map to the meanings embedded – with a unique focus on Twin Flames. 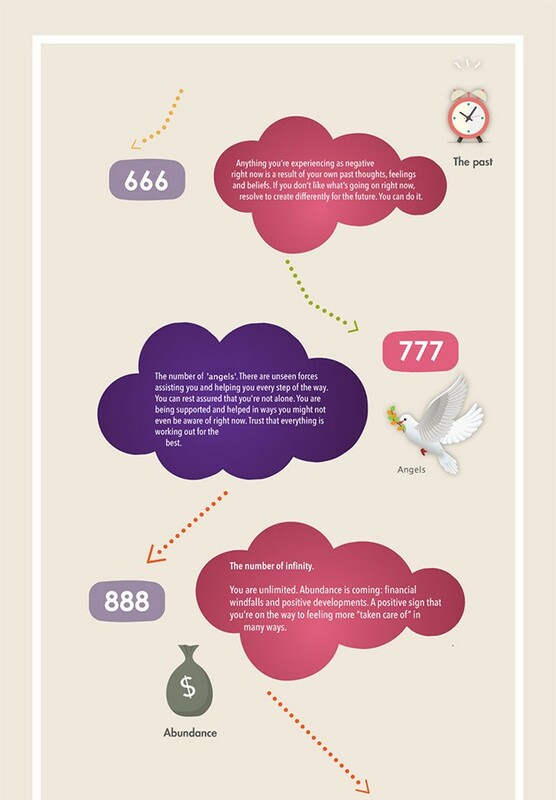 There are other standard readings of these numbers, but this infographic has been created in collaboration with guidance to be specific for Twin Souls. Keep in mind that along your journey you might also be receiving messages of personal significance, such as birthdays, anniversaries and so on. Numerical codes and signs are a common way of communication from the soul and guidance systems, as they allow for bypassing the ego self and barriers of disbelief and skepticism. Nearly all Twin Flames observe signs like these on a regular basis after Awakening and Ascension begins – the signs tend to increase at times of doubt, struggle and separation, times when we need extra reassurance. For a full class on more common signs, how to interpret divine guidance on the Twin Flame path and enlisting extra assistance on your journey, have a look at my Vibrational Alignment Program for Twin Flames. Includes a class on how to safely and effectively connect with your intuition and spiritual guidance team, avoiding ego and negative influence. Plus a tool to make any being tell you the truth. Know that if you’re having a hard time with your Twin Flame or are wondering about some existential issue or focusing on a big life decision, chances are you’ll see numbers popping up all around you as reassurance and guidance. You might have noticed this already. Signs like these are meant to provide a guidepost on the journey, to show continued support, nudges and assistance, and to above all reassure you. Please feel free to repost and share this infographic, and you might want to snap a screen grab so you have it handy when you’re out and about for situations where the third or fourth car with licence plate 1111 or 888 comes driving past…! 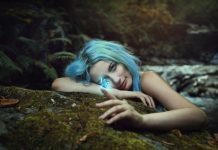 Ready to take your Twin Flame connection to the next level? Have a look at the full Vibrational Alignment Program here – make sure you read the testimonials of other Twins’ amazing experiences with the program! Alternatively, you can try the free starter kit.